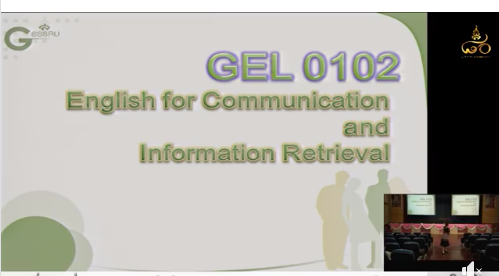 GEL0102 English for Communication and Searching 11.00 AM. - 14.00 PM. Home > News > GE News > GEL0102 English for Communication and Searching 11.00 AM. - 14.00 PM. GEL0102 English for Communication and Searching 11.00 AM. - 14.00 PM. 10 Jan 62.